Oka Manasu, the debut film of Mega Princes Niharika Kondiela, has wrapped up its shooting part long ago and the team is currently busy with the post-production process. Directed by Rama Raju who had earlier made Mallela Theeramlo, Oka Manasu will see Niharika romancing young hero Naga Shaurya. 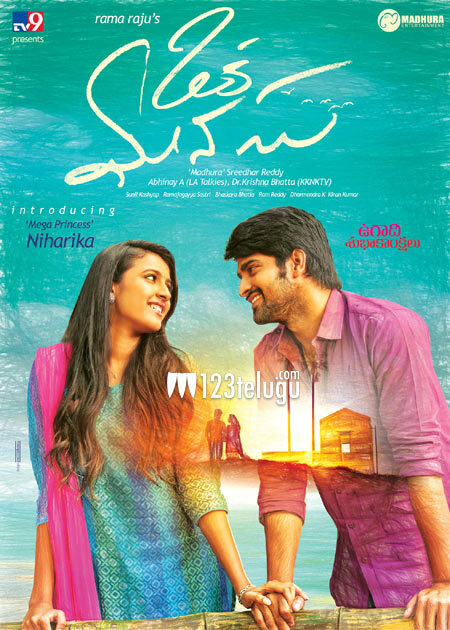 According to the film’s producer Madhura Sreedhar, Oka Manasu’s audio album will be released in the second week of May and the movie will hit the screens either on the 3rd or 10th June. The film is a rural-based romantic drama. Oka Manasu’s audio will be unveiled on a grand scale and Megastar Chiranjeevi and Ram Charan are expected to grace the event, along with several other Mega heroes.